With the Premier League placed on hold this weekend whilst international football takes centre stage, Wembley was the centre of attention last night with England taking on the Czech Republic, in a European Championship qualifier. Despite Chelsea being represented in Gareth Southgate’s squad, it was disappointing to read the team-sheet, before the kick-off, to find the eleven were devoid of any Chelsea players. But as the game progressed, that was to change. With just 17 minutes played, Eric Dier picked up an injury that forced Southgate to withdraw the Tottenham Hotspur player and introduce Ross Barkley. Barkley performed admirably and seemed to benefit from being free of the shackles ‘Sarri-ball’ imposes upon him. In the 70th minute, we saw the introduction of a certain Callum Hudson-Odoi, with the eighteen-year-old replacing England’s hat-trick hero, Raheem Sterling. For Callum, it was a memorable moment, a first England cap for somebody who, days earlier, was hoping that he’d get to make his U23 debut. Hudson-Odoi didn’t look out of place but it should be pointed out that the opposition were, at best, a mediocre outfit. 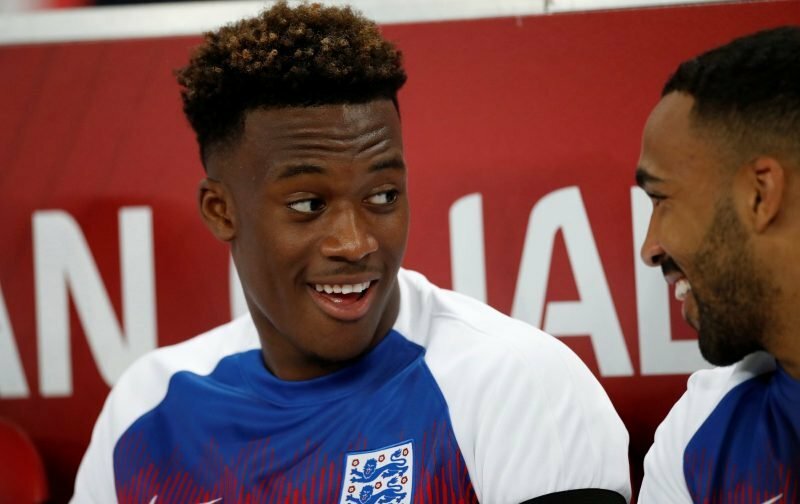 Also, in making his debut, Hudson-Odoi became, at 18 years and 135 days, the youngest player to make his debut for England in a competitive match. But, continuing all things Chelsea, we should also point out that England’s fifth goal, in the 5-0 rout, was scored by a certain Tomas Kalas, a central defender on our books but a player who has been out on loan for the last three seasons. All in all, a good night for club and country, but there’s this awful void that still has to be filled on what is now a blank Saturday afternoon.